Do you cringe when you see that embarrassing photos from your teenage years on Facebook? Have you been on a date filled with unbearable silence? Did you ever go blank in the middle of a presentation with the audience staring at you? Being human is all about being awkward, and that’s ok.
Melissa Dahl takes on this underappreciated emotion and searched for the meaning behind it and how to come to term with it. Through a series of personal experience and professional research, Dahl came to the conclusion that awkward moments are universal; they can be opportunities for us to have better self-awareness and accept who you are. There are some really interesting psychology experiments as well as the author’s experience with improve class and Mortified show that made me to look at cringe-worthy moments differently. This book is humorous, informative and a light read. 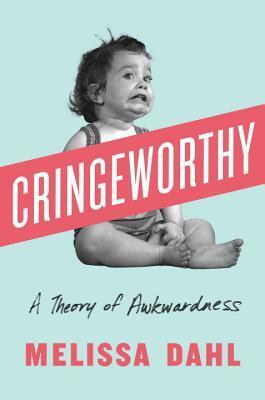 Highly recommended–you will have new appreciation towards awkwardness.